Caitlyn loved the beach when she was young. Those days are gone. The world she remembers from those days is also gone. Now when she scours the beach with her family, she's not looking for pretty shells or interesting saltwater creatures. Now she's looking for anything that can help keep her family alive. In the mad scramble for survival, not everyone peacefully collects debris washed up on the beaches. Caitlyn and her family know they're at constant risk from the Jakkyls, a gang that roams the island, taking whatever its members want. The best way to stay safe from the Jakkyls is to avoid being noticed by them. Caitlyn knows that if she is noticed, her best bet for survival is being with her family and being ready to meet violence with violence. Getting caught alone is a recipe for death, or worse. But when she decides to stop on the beach to retrieve a length of good rope that is tangled up in driftwood, her family doesn't notice that they are leaving her behind. She finds herself separated, and the Jakkyls are nearby. Buy your copy on Amazon, or read for "free" via Kindle Unlimited! 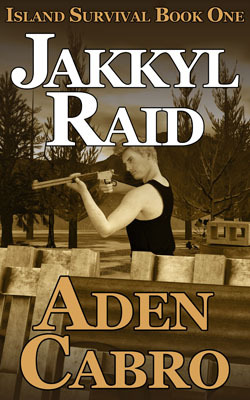 Get Jakkyl Raid (Kindle edition). Derek knew that his family needed to be ready for emergencies. He was confident that they were prepared for all kinds of disasters, big or small, short term or long term. The Jakkyls weren't part of his planning. Derek wasn't ready for them, and his family paid the ultimate price. Now the only thing Derek wants to be ready for is revenge. In a time when lethal violence is treated as an easy answer to disputes, lust for revenge is anything but rare. Derek isn't the only one on the island wanting revenge against the Jakkyls. Unlike him, others are not willing to throw away their lives seeking it by themselves. Derek discovers the Harriers, a new gang that formed for the sole purpose of making the Jakkyls pay. The Harriers seem just as brutal, but more focused about who they attack... for now. When Derek throws everything he can into a solitary attack against the Jakkyls but is stopped by the Harriers, he must quickly decide his next move. With nothing to live for and his strength depleted, every option looks futile, and his growing sense of despair seems the only likely winner. Buy your copy on Amazon, or read for "free" via Kindle Unlimited! 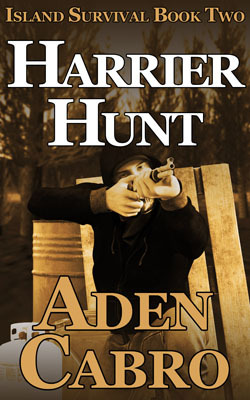 Get Harrier Hunt (Kindle edition). Scarce food. Radioactive fallout. On the run. This wasn't Chuck's idea of an island vacation with his young son Paxton. Keeping his child safe is Chuck's top priority. Safety seems like an outdated idea, though. The Jakkyls and the Harriers are fighting each other for resources and revenge, and father and son are caught in the middle. When a third group shows up, all bets are off. Their heavy firepower makes the guns of the island gangs look like toys. It's clear they're out to kill everyone. But why? Chuck has no time to seek answers before the Jakkyls capture his son. With Paxton's life in the balance, the hunted must become the hunter. Chuck must rise up even though he knows he's ill-equipped to mount a one-man rescue operation. 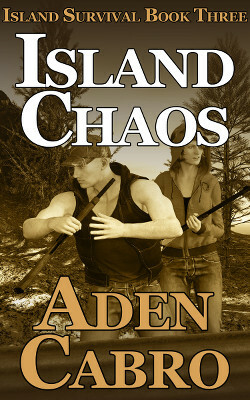 Island Chaos is a full-length novel in the action-packed Island Survival series. Buy your copy on Amazon, or read for "free" via Kindle Unlimited! Get Island Chaos (Kindle edition). The emergency broadcast cuts off just before the power goes out. Flashes in the distant night sky confirm Allison's worst fears. She let her husband prepare for nuclear holocaust but never expected to actually see it. She knows she must meet up with Adam and their kids at their island retreat, but a rugged mountain range stands in the way. Instead of being safely on the island, she is stuck at the mountain cabin of her elderly aunt and uncle who are not prepared for any kind of disaster. Her sister and ex-con brother-in-law are also at the cabin, adding to the obstacles Allison must resolve before she can make the dangerous trek over the mountains. As she struggles with her unprepared family members, one question nags at Allison's mind. If she reaches the island, what will she find? Buy your copy on Amazon, or read for "free" via Kindle Unlimited! 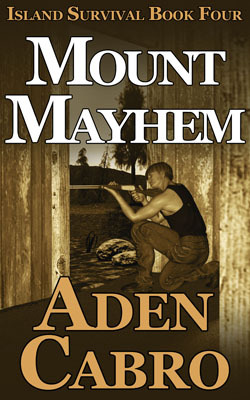 Get Mount Mayhem (Kindle edition). Connect with Aden Cabro on Twitter or Facebook. You can also sign up for his newsletter to find out about new releases. Whether you're heading out for a day hike, packing a bug-out bag, or equipping a remote retreat, make sure you have appropriate gear. Don't expect Nature to abide by your plans, so always take the Ten Essentials (adjust according to your environment).